All your plastic in one card? That's the promise of Coin. If Kickstarter is any reflection of the zeitgeist, one of the biggest problems plaguing humanity is an insufficient selection of wallets. And judging by the projects building out those wallets, theres an unmet need for minimalist designs, those that hold a few bills or none at all and a small selection of plastic cards. Meanwhile, it seems you cant buy so much as a stick of gum from a local drug store without being prompted to present or acquire a loyalty or charge card. Many see the smartphone or some connected convergent device using a standard such as NFC (near-field communications) or Bluetooth to be the ultimate solution to the physical manifestation of money. With untold trillions of dollars of transactions at stake, the rush to control these standards has attracted the attention of virtually everyone in the payments space as well as renegades at the register: credit card issuers, carriers and mobile OS providers. Recently, their most collective effort to date in the United States - known as Isis - finally became available for NFC-based payments on Google Play. But there are many holdouts, including Apple and Sprint. Meanwhile, nimble startups have been able to make dents in the payments space. One of the most notable has been Square, provider of a small magnetic-stripe reader that has opened the doors to millions of US-based providers to accept payments virtually anywhere. Square has worked because it blends into the existing payments infrastructure in the United States that is dominated by the magnetic stripe reader. Then theres the new effort called Coin, which in some ways is, for payers, the flip side of Square. 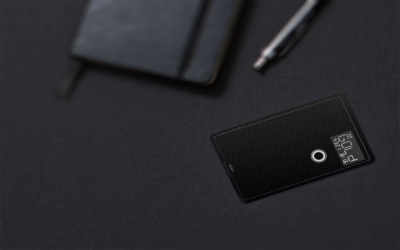 A credit card-sized device with a one-button interface, the black Coin card can be reprogrammed on the fly to emulate virtually any credit, debit, or loyalty card that operates via a credit card. The device includes Bluetooth, but is programmed via its own bundled smartphone mag stripe accessory. Scanned cards are complemented by a photo of the original, perhaps as a security measure. Coin can also alert your phone if it is moved out of range, much like many Bluetooth-based "item finders." But this may lead to many false alarms as cards are dashed off for processing of, say, a restaurant bill. Coin would appear to be convenient, or at least trade a bit of button manipulation for bulk, but its developers plan to sell it for $100 after a deep-discount preorder phase ends. And once you buy it, youll have to keep paying. While Coin doesnt have a subscription fee, its non-rechargeable battery expires after two years, creating an effective cost of about $50 per year. What if Coin is gobbled up by an ATM and not released? Ultimately, Coin is a pricey convenience for those who carry many cards. Its utility will depend on how often one uses cards that are actually swiped versus, say, optically scanned as many loyalty cards are. Still, at least it will be accessible to nearly everyone in the US who uses a couple of plastic cards, and that could provide a strong enough base to build on.